Jane Dean is a registered nurse and volunteer with the American Red Cross. When she was called upon to help provide health services at the Jessie Turner Community Center during the Blue Cut Fire, she immediately jumped into action. She worked at the shelter for three days, along with friend and fellow volunteer Lorrainne Voelker. Every day, Red Cross volunteers like Jane and Lorainne are on call around-the-clock to provide help and hope during disasters big and small. Interested in becoming a volunteer? 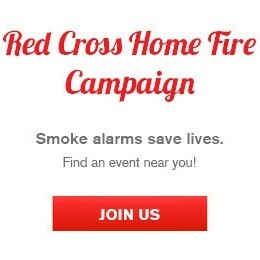 Visit redcross.org/volunteer to get started today!